Over the last 20 years, more and more countries have made their mark on tennis. Nations such as Russia, Serbia, China, Brazil and many others have surfaced in a big way – be it with players, events, playing styles, color, flavor. One major reason has to do with something that happened 36 years ago in Baden-Baden, Germany. 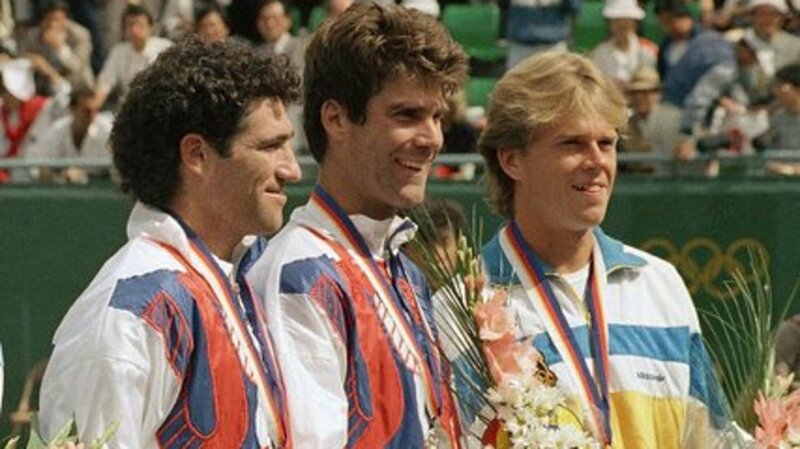 At that place, on this day, the International Olympic Committee voted to include tennis in the Olympics for the 1988 Olympic Games, returning the sport to the Games for the first time since 1924. This was a major game-changer. In many countries – Russia and China among the most notable – a sport carries no legitimacy unless it is an Olympic sport. But once medals enter the picture, cultural energy and, often, money, soon follow. Though Russia had its sprinkling of fine tennis players – Alex Metreveli and Olga Morozova each reached Wimbledon singles finals in the early ‘70s – it was the onset of the Olympics that opened the floodgates. For global development, the Olympics has been a major factor in the growth of tennis. That said, the format of tennis in the Olympics requires an overhaul. Why treat it like any other tournament, with singles and doubles events? Why not instead turn it into a team competition, adapting the World Team Tennis format of men’s and women’s singles, men’s and women’s doubles, the team match concluded with mixed doubles? Imagine, for example, if the Olympic gold medal event came down to mixed doubles match between the team of Serena Williams and John Isner versus Roger Federer and Martina Hingis. If tennis is going to showcase itself in a special way every four years, then why not take every step to bring it to life as vividly as possible?